Usually solitary animals, cassowaries live in a home range that fluctuates depending on season and availability of food. The size of observed home ranges varies, generally between 0.52km² to 2.35km². 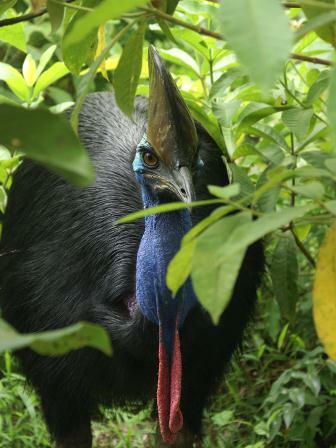 Cassowaries are territorial and contact between adults generally only occurs during mating. 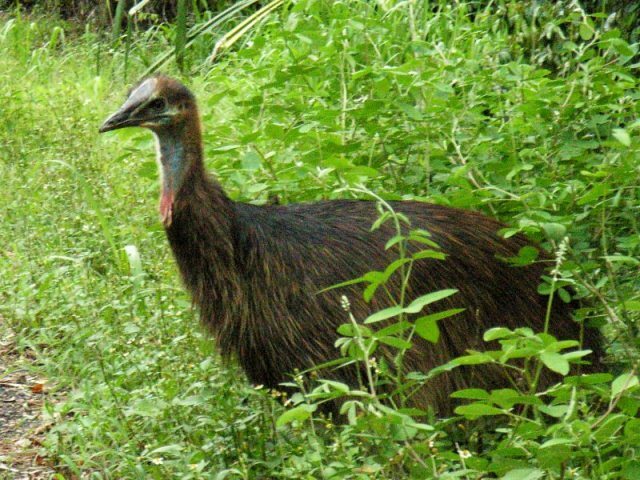 Female cassowaries often have overlapping ranges with several males, but are known to be quite aggressive in defending a food source, particularly in times of scarcity. Females start breeding from around 3.5 years of age, males up to a year younger (Marchant & Higgins 1990) and breeding occurs mainly during the winter and spring (June to October) but has been observed at other times of the year. Cassowaries court briefly, mate and then separate. A female can mate with several males in one season. 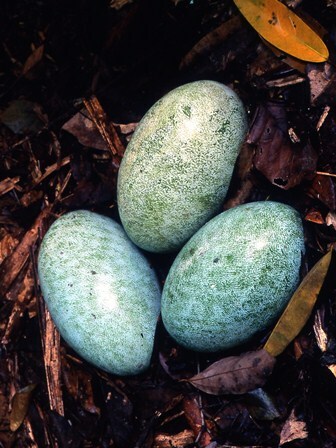 Females lay between three to five large, olive-green eggs on the ground. They don’t build a nest, but males may gather up loose material to build up a protective ring around the eggs. Juvenile cassowaries begin to fend for themselves from about eight to 18 months of age, when they are chased away by the male. This sub-adult stage is probably the most vulnerable stage of their life. The average life span of a cassowary in the wild is unknown, but in captivity, they have been known to live to up to 60 years – the oldest known cassowary lived to over 61 at the Healesville Sanctuary in Victoria! ¹ The only human fatality in Australia occurred in 1926 when a 16 year-old boy was killed near Mossman. He was running away from the bird (which he and/or his dogs had been attacking) when he was fatally kicked in the neck; the cassowary severed the boy’s jugular vein.